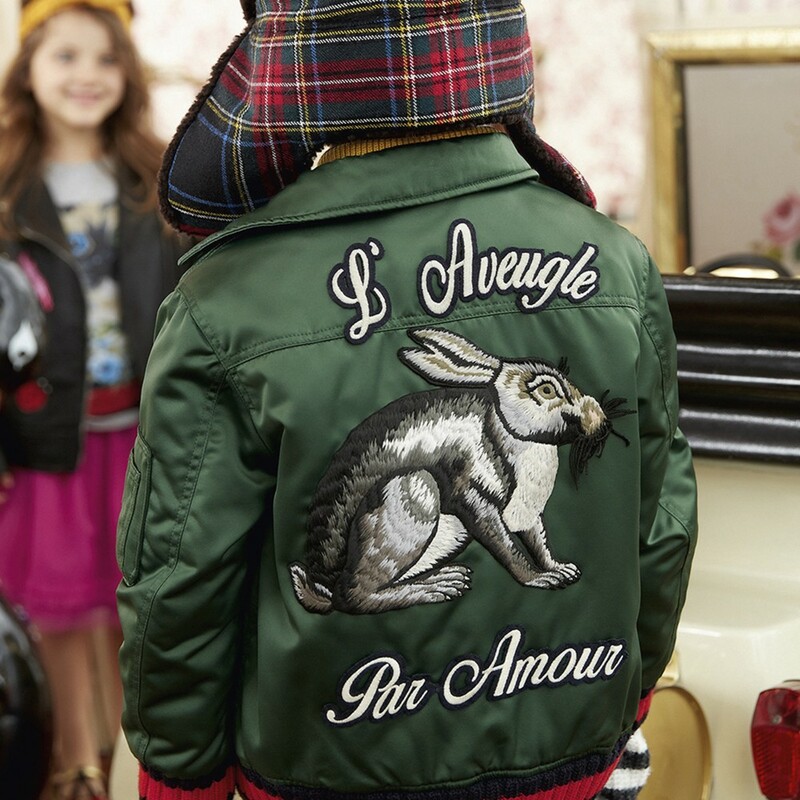 Google officially declared 2016 the year of the bomber jacket and this cool style staple has been embraced by children and adults alike. As it suggests, the bomber jacket takes its name from the military WWI bomber pilots who wore them to protect themselves from the elements. Upon founding the Aviation Clothing Board in 1917, all US military pilots were issued these flying jackets as part of their official uniform. Different from the design we recognise today, they were made from heavy duty leather with high wraparound, fur-lined collars. By the 1950’s, the bomber jacket evolved into what was labelled the MA-1. Made from durable silk nylon, it no longer had a fur lining but a stretchy, knitted collar, was lined with bright orange fabric to aid visibility and the outer fabric was what would become the iconic, signature shade of green. This style has become most notably associated with the modern day bomber jacket and many of its characteristics are still visible. Seen as a symbol of adventure and heroism, it became popular with civilians from the 1960’s onwards, particularly favoured by the mods of the era. 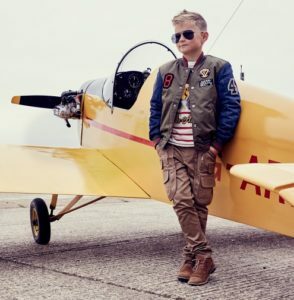 Donned by the skinheads during the 1970’s, the Hollywood film Top Gun in the 1980’s saw a resurgence in the popularity of the style among boys and men and it gained its credentials among the hip-hop set in the early 2000’s. Fast forward to today, the bomber jacket is best loved for its functional, street-wise and timeless appeal. This season, Gucci and Dolce & Gabbana debuted the more luxe versions, featuring embellishments and elaborate embroidery and for those who prefer something more classic, there are the heritage, military-style khaki green and camo print jackets. Find more bomber jackets here at Orange Mayonnaise. 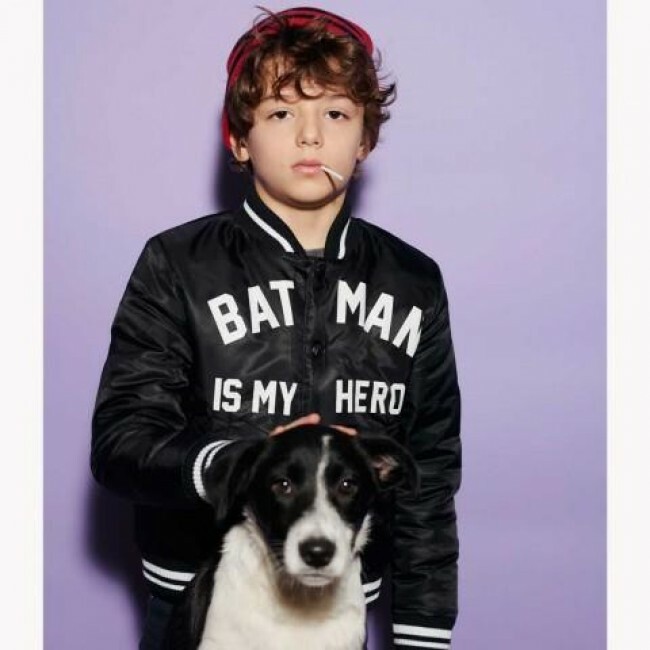 Do your children wear bomber jackets? Mine does! Gepost door Annika - Orange Mayonnaise op 8:22 p.m.